Newcastle-based mobile app developers Hedgehog Lab has opened a second US office. Set up in 2007 by Sarat Pediredla and Mark Forster, the firm has added to its Boston office with a new base in Austin, Texas. It already has offices in India and London, as well as the North East. 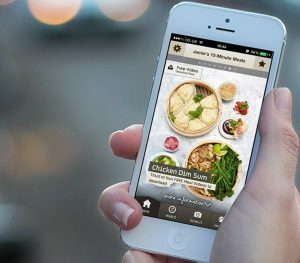 And Hedgehog Lab, known for its hugely successful 'Jamie’s 15 Minute Meals' app, will continue to build its profile in the States and has plans for expansion throughout the continent and in the Middle East. CEO Sarat Pediredla (above) said: "The key accelerator to growth was a pivot we took into becoming a mobile app specialist in 2010. This has allowed us to set out our niche and obtain a leadership position in a fast growing marketplace. This has had the single biggest impact. Hedgehog Lab, which currently works with B&M Homestores, AkzoNobel Speciality Coatings, Fitch Learning, Huntsman, Northumbrian Water as well as the Financial Times brand The Banker, has more than doubled its workforce from 30 to 63 staff globally in the last 12 months. Its revenue is also on track to grow by 100% in the next three years. Based at its main UK headquarters in Newcastle, Hedgehog Lab believes its choice to launch and remain in the region has been integral to its success. “We see being in Newcastle as a strategic advantage and not a disadvantage,” added Pediredla. “We are proud of our roots, our office space, our culture and the region. Given that most projects we work on are around 6 figures plus, it isn’t unreasonable for us to fly abroad or have clients fly here. What has surprised me is how many of our international clients are eager to fly up to meet us in Newcastle. They like to check out the ‘mothership’ and it gives them a level of confidence about the relationship. “We have had clients visit from New York who are pleasantly surprised at what the city has to offer and are hugely impressed by its culture, beauty, and regional business environment.